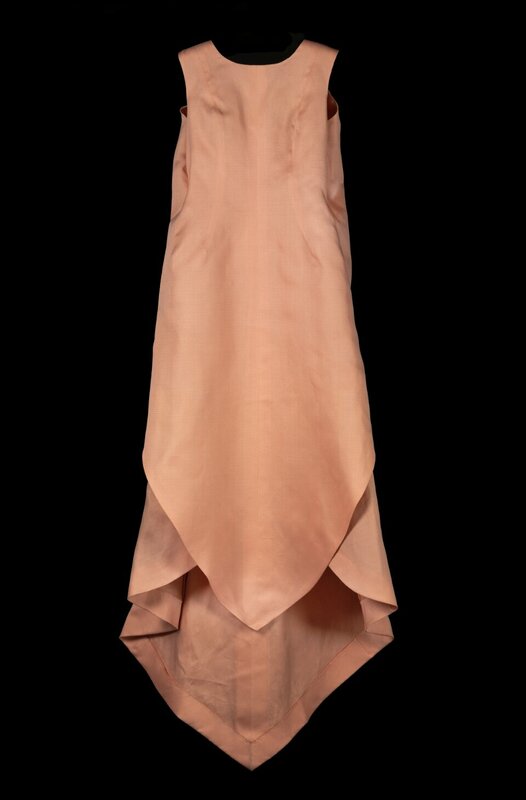 Revealing the hidden interior structures of iconic garments by Cristóbal Balenciaga. 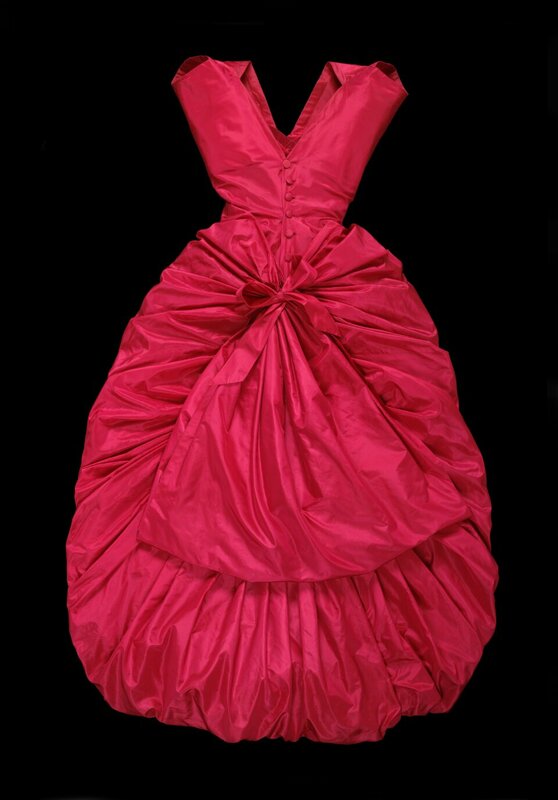 It's often said that couturier Cristobal Balenciaga didn't use corsetry to create his dramatic, sculptural garments. 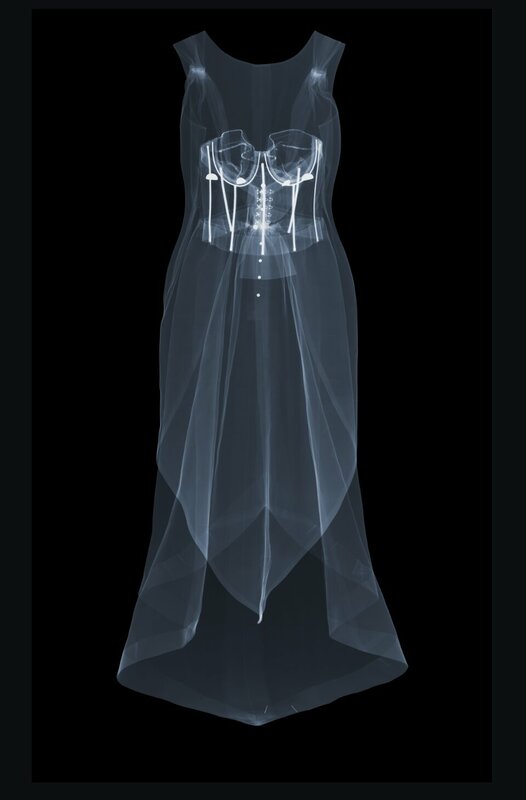 In order to find out more about how his incredible designs were constructed, we worked with X-ray artist Nick Veasey to look beneath the surface of several iconic dresses and hats. 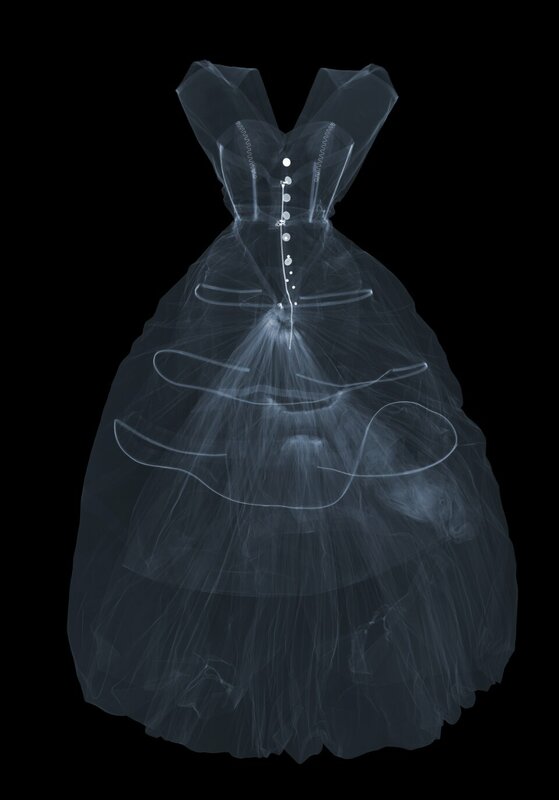 Both beautiful and forensic, the ghostly X-ray images reveal fascinating details not visible to the naked eye – including boning, hoops and dress weights which determine the exact fall of the fabric. Two of the X-rays also reveal dress pins which were accidentally left inside the hems by their original makers. 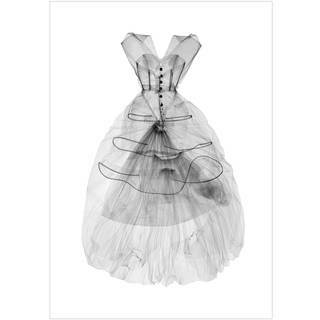 The X-ray of Balenciaga's 1954 balloon hem evening dress shows subtle internal hooping that supports the garment's many swathes of fabric, revealing how Balenciaga fashioned one of his most ambitious designs. 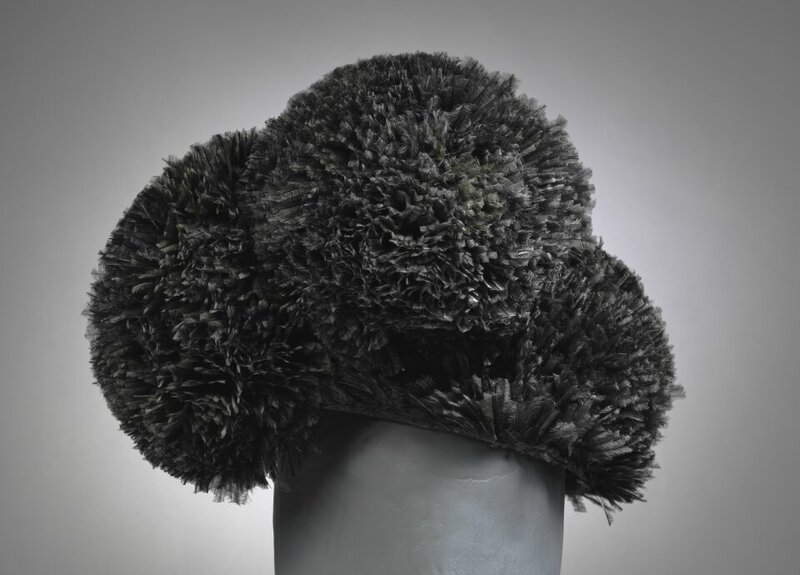 This dramatic pom-pom hat of cut ostrich feathers belonged to socialite Gloria Guinness. 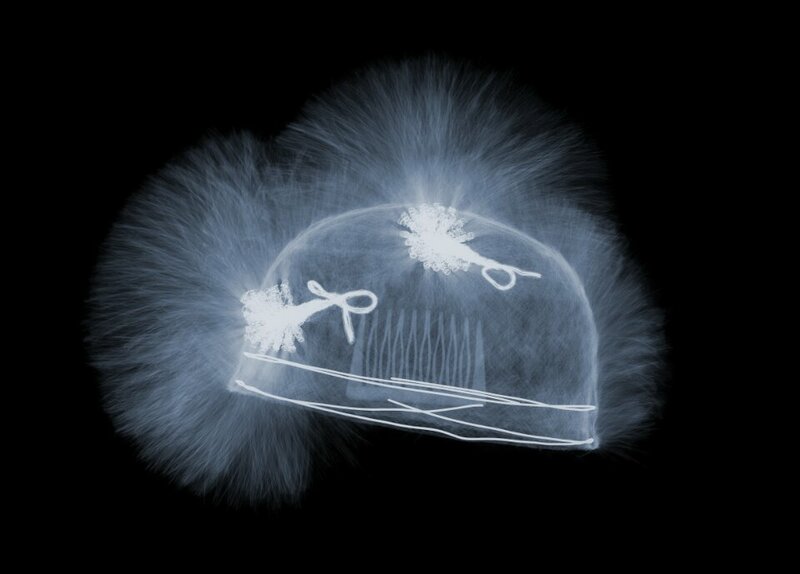 Internally, the X-ray shows how it is secured by a haircomb. Hats must be made on your head. 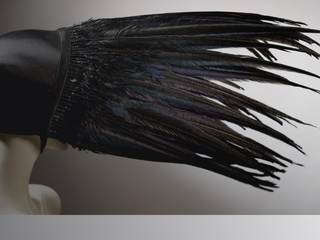 A ready-made hat will not be you! 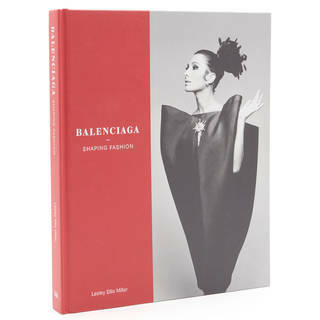 While I am sitting for a dress, I sit ten minutes longer, and Monsieur Balenciaga works on a hat. 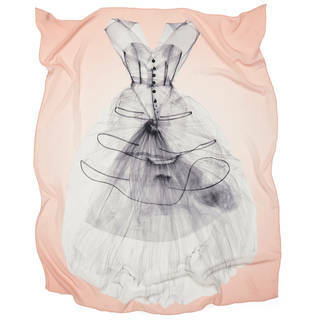 Dubbed 'La Tulipe', this light pink dress made for Hollywood actress Ava Gardner looks simple at first glance, but the X-ray reveals the complex inner workings of the garment, dispelling the myth that Balenciaga did not use boning and corsetry. Spot the original pins left in the hem by the seamstress.